When it comes to the publicity of amusement equipment, the most traditional way is to print some glossy propaganda pages and distribute them to people. 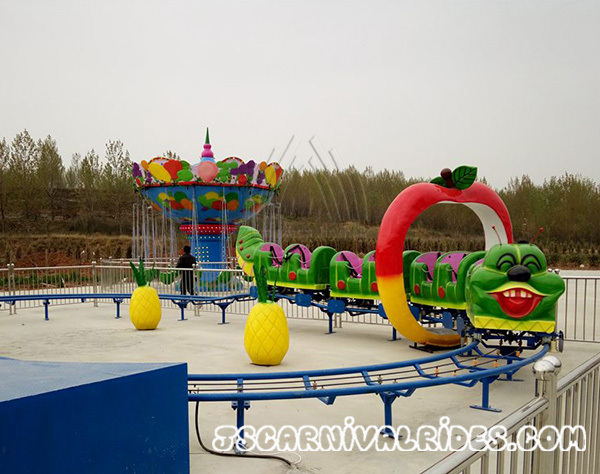 Generally the content are introducing the amusement parks, then what are the effective means of publicity? Firstly, getting people’s recognition is important. In the propaganda pages, operators can show their preferential policies, which is to bring benefit to people, thus attracting people to play. Secondly, the playground is mostly aimed at children, so the operators can go to the local kindergartens that have reputation to cooperate with them. Then organizing the children to experience the equipment freely, so that operators can get the endorsement from these children, which will enhance the overall image of the playground and convert potential customers. Finally, using the propagation and diffusion of social software, like QQ, Wechat. The power of the internet is not to be underestimated. People can enjoy some privilege by collecting likes, forwarding, screenshot, etc., thereby pushing the influence of the playground to expand visibility.